All levels of competence are welcome during my workshops. My book, The Painter's Studio Handbook, Bloomsbury 2012, gives information about many of the techniques and materials required during the workshops and is available from Amazon. Une semaine de peinture ; paysages, nature morte, villages. I loved being on Simon's workshop. Every minute if it. 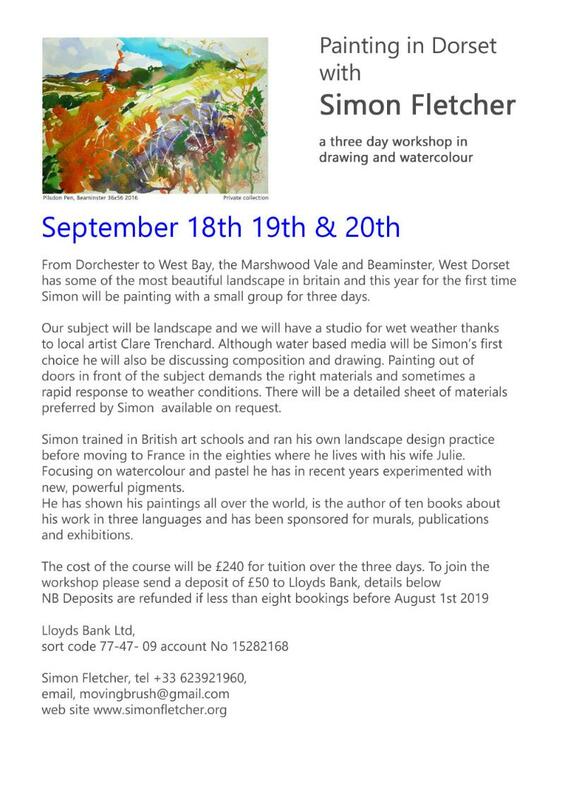 Painting, tuition, eating good food, drinking good wine, visiting your lovely home and Simon's studio. The accomodation was perfect and all those lovely people! Such interesting conversations! Thank you once again. I will be back! The evenings are filled with animated conversations at romantic candle lit dinners. Simon can tell you a lot about the wine in the country, he even wrote a book about it with wonderful paintings. The time passes by so quickly during the seminar hours, it is so fascinating to watch Simon teaching his mostly international students in different languages and look at their paintings. The real thing, a master at work, small groups and animated conversation. At last someone who knows the technique inside out and who has produced a book about it. Voici la cote à Port Vendres, lieux mythiques pour les peintres. Ici, il y a cent ans les grands peintres, Picasso, Matisse, Derain etc. sont venues pour faire leurs expériences dans l'art moderne. The following are some of my preferred materials but if you are used to your own please bring these with you. 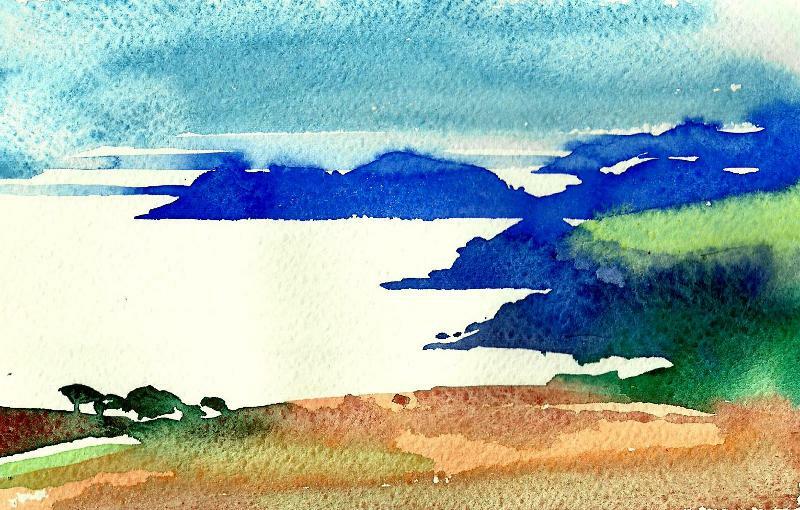 Water colours. Tubes or full pans. Cadmium yellow deep, cadmium pale & cadmium lemon. Phthalocyanine deep & phthalo cerulean. A comfortable, light stool. A board 40 x 60 cm. A good water spray. Plastic water containers and a small sponge. A sketch book 30 x 20cm. A portfolio 40 x 60cm. A sun hat. An overall or apron. Almost everything on this list can be bought online, in the UK from Jacksons art, in France and Germany from Boesner or Gerstaeker.